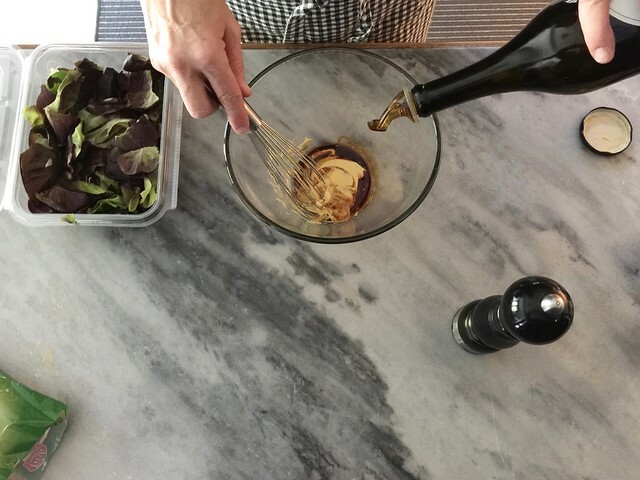 Make homemade salad dressing with three simple ingredients in less time than you think. 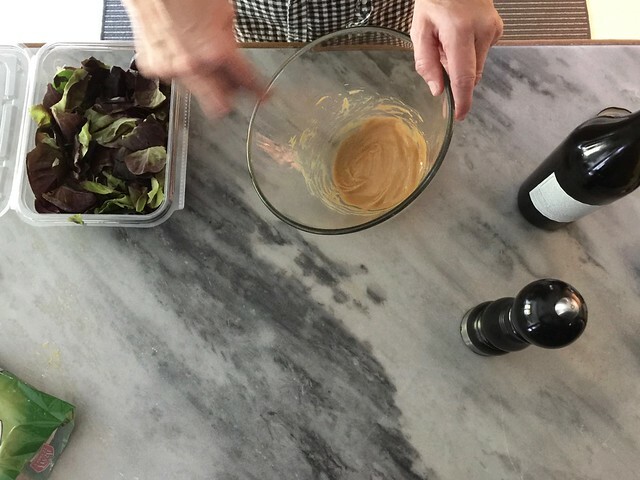 Start with Dijon mustard and add in a little balsamic vinegar. 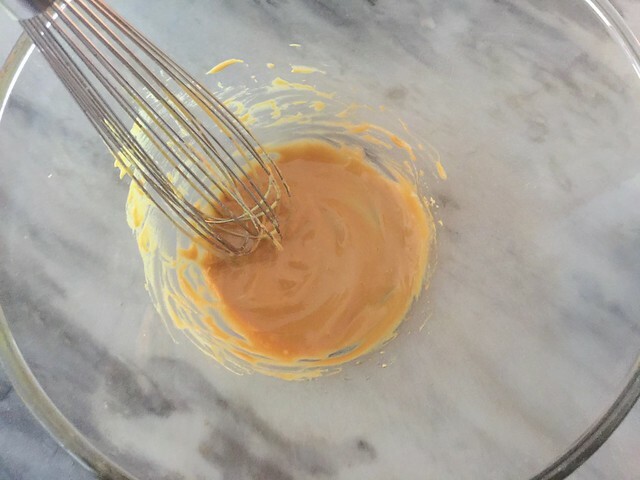 Slowly whisk in a little olive oil and whisk until it emulsifies. It’s that easy! I often start dinner hours before we actually sit down at the table. 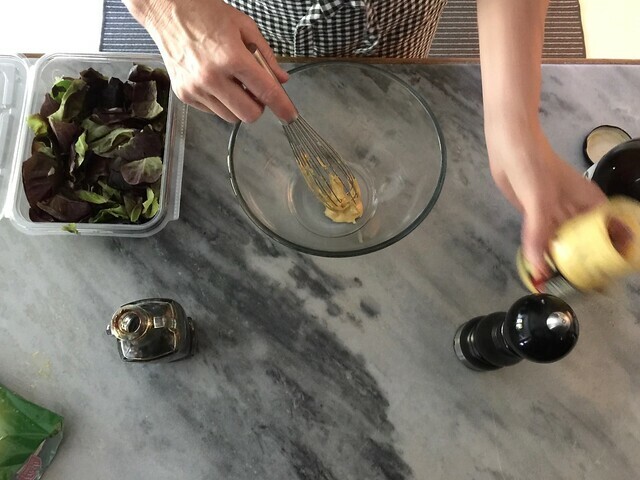 I can make salad dressing in the bowl that I’ll serve it in by adding in crisp Butter Lettuce that sits on top of the dressing and then I’ll add in the more tender baby lettuces. Cover and store in the refrigerator. 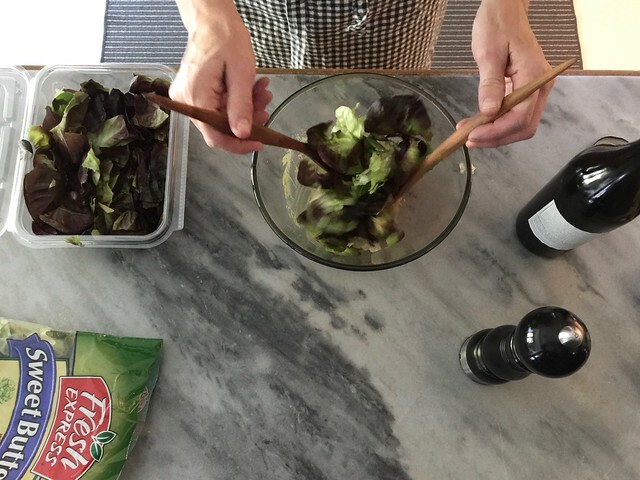 Toss your salad just before you are ready to serve dinner. 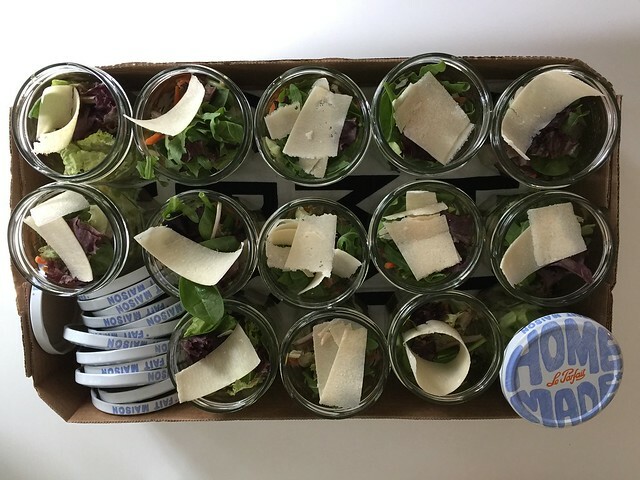 You can also make this salad in individual jars for a party like we did recently for a baby shower at work. I found these great jars at The Container Store. Each jar has a serving of salad dressing at the bottom topped with salad. Shake to mix. They are easy to make and travel well. Love home made dressings. I like the dijon in most of my recipes and switching my usual lemon juice for balsamic sounds delicious. 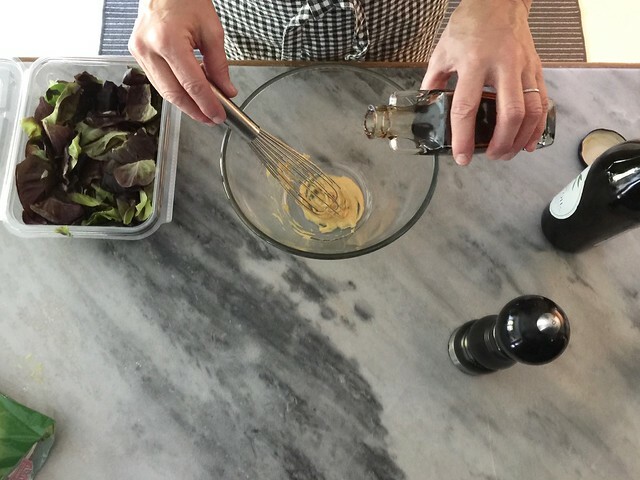 Home-made dressing is SO much better and easy. I miss you!!! Could you possibly give me measurements? I’m not good at eyeing these things… Thanks!